WE ARE PLEASED TO ANNOUNCE THAT AS OF 1ST APRIL 2019 WE ARE OFFICIALLY AN OUTSTANDING SETTING!!! Thank you to the W.I. for organising and running a coffee morning with all proceeds going to Pre-School​. Thank you to everyone who attended. You helped raise over £500 for Pre-School!!! Thank you to the Round Table for their donation of £350 for our help with their Santa Run in December! Thank you to everyone who turned out on a cold, wet day for our pancake race fundraiser. You helped us raise over £150!! 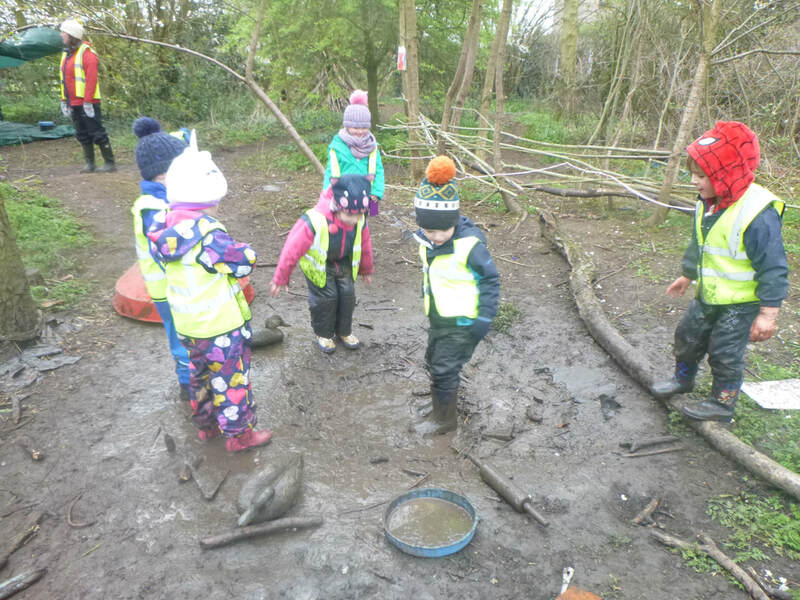 The children enjoyed our week in the woods playing in the mud wallow and bird watching! Please check out the woods weeks photos in the gallery! Please E-mail or send in any photographs of "Days out" that we can share at circle time. "You are fabulous and I recommend Pre-school to every new parent I meet"
"I can't imagine how you could improve the care and learning - I have no criticism of your setting, it's amazing!" "a wonderful pre-school. we couldn't ask for anything more for our children. thank you!" you do a fantastic job -my child has clearly enjoyed every moment at pre-school, asking to attend more!" 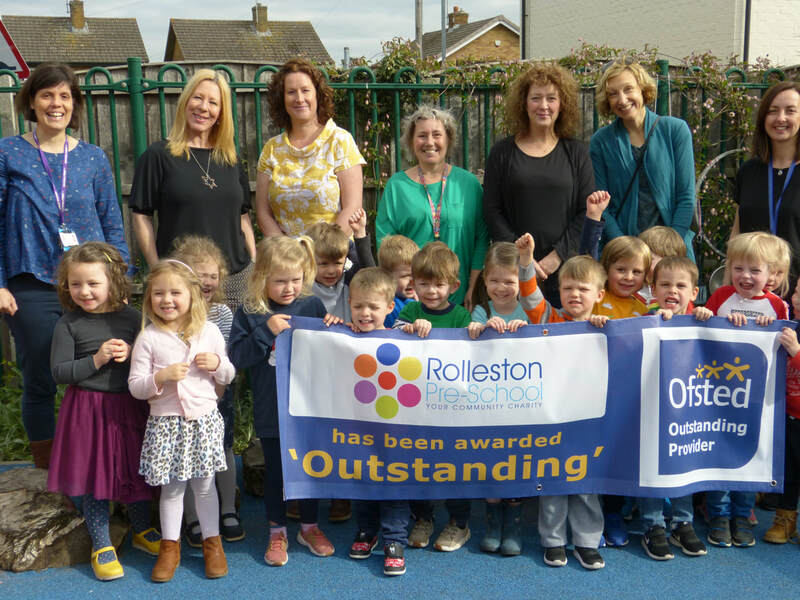 "they are all an amazing team and work well as a unit"
"i think the quality of everything is fantastic"
"we love receiving our news emails and feel the level of communication is excellent"
"we love everything you do at rolleston pre-school"
"for me the trip to the woods had the most impact. 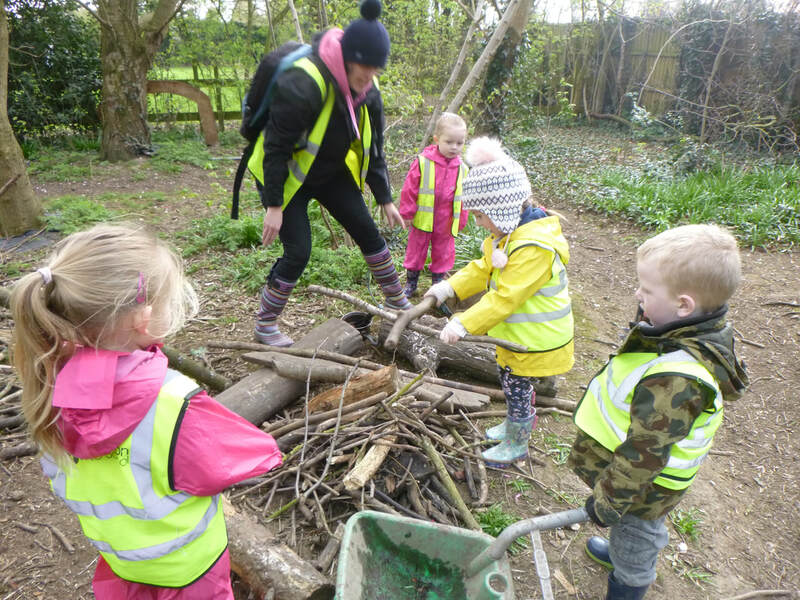 it was amazing to see how child led activities were and how absorbed and animated the children were as a result"
Woodland visits - "flexibility in times to visit, easier with childcare and work. Great to see such a creative, different setting - very inspiring"